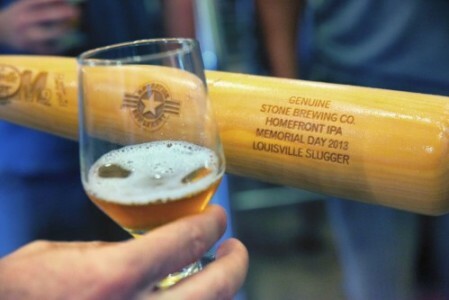 This is one for the true baseball fanatic, a craft beer aged inside the iconic Louisville Slugger maple baseball bats. It seriously doesn’t get much more American than that, surely? Homefront India Pale Ale is what they call it. It was first developed by Fremont Brewing Company and Center of the Universe Brewing Company in 2011 to raise money for Operation Homefront, a charity that gives emergency assistance to US military personnel and their families. What that means is Homefront IPA is a beer you can enjoy not just for its taste or because of how it’s made, but because you’re drinking for a good cause. Doesn’t that make you feel warm inside? The beer itself is infused with orange zest and, if being brewed in a Louisville Slugger isn’t American enough for you, the various Homefront IPA beer labels that Best Beer HQ has seen feature all sorts of American iconography, including American eagles and military decals. Homefront IPA fetched more than $18,000 for Operation Homefront last year. In 2014, it’s hoped that Homefront IPA will raise more than $200,000 for Operation Homefront, with the help of 11 participating breweries brewing some 800 barrels (or 24,800 gallons) of the beer. Homefront IPA will be available nationwide from this Memorial Day, Monday 26 May 2014.